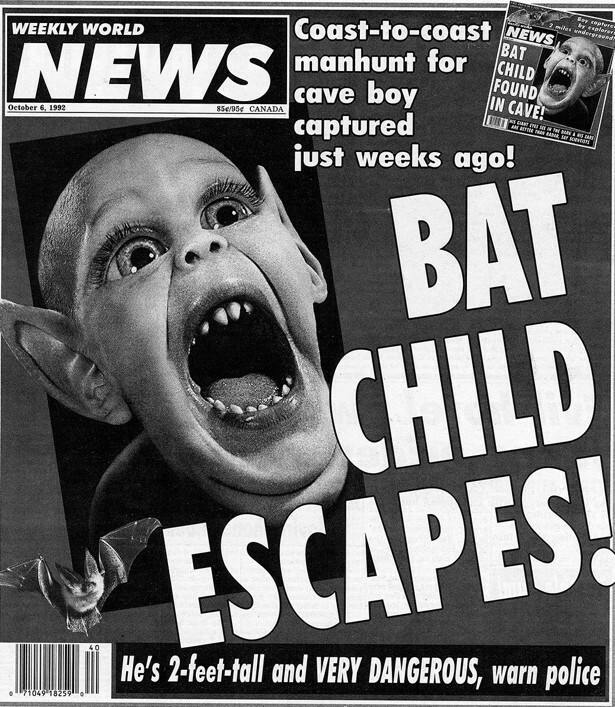 In the past, you'd primarily find your fake news in the checkout lane at the grocery store. 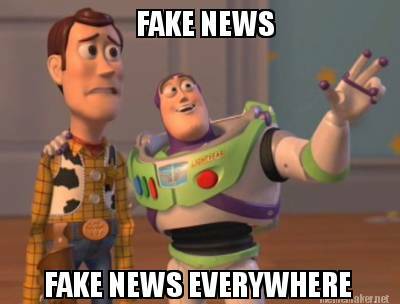 Now fake news is served to us alongside other results in our Google searches or just beneath our friends' posts about their day in Facebook. For years, school and academic librarians have used exercises comparing sites like the The Pacific Northwest Tree Octopus or the Dihydrogen Monoxide FAQ to reputable websites to help students distinguish between what's factual and what's fake and to help them determine some common characteristics of reputable information sources. Lately it's getting more difficult to distinguish truth from fiction. Last month, NPR ran an article about a recent Stanford study of students' skills evaluating information that began, "If the children are the future, the future might be very ill-informed." In November, OELMA past-president, Susan Yutzey, wrote a letter to the editor of the Columbus Dispatch saying, "This may not seem like a life and death matter – but it could be if our children don’t question the credibility of the barrage of health and financial information that comes or will come their way." 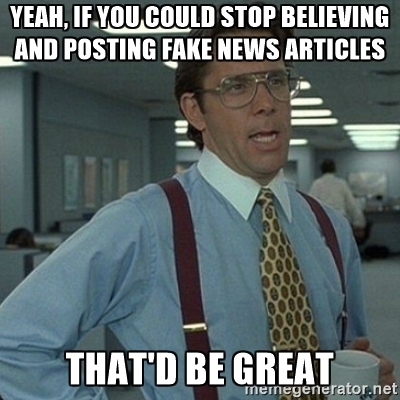 And just a couple weeks later, fake news became a life and death matter when a gunman, taken in by an online information source, held up a Washington DC pizzeria. So how can educators help learners figure out whether what they're reading online is factual or fake? Encourage students to begin their search for information with a search tool that only retrieves results that have been curated by information professionals. ISearch is a search engine that lets students search their school library along with nearly all the high-quality digital content from INFOhio's electronic resources from a single search box. The information sources in INFOhio's electronic resource collection are considered premium content and little of it is freely available on the open web. However, INFOhio has purchased the resources for Ohio's PreK-12 students to use at no additional cost to Ohio schools. Your students won't find articles from fake news sources like the Denver Guardian or NationalReport.Net in ISearch. You can learn more about using ISearch in the classroom and find lesson plans developed by Ohio librarians on the Educator Guide to ISearch. Once students have found some information sources, they still need to develop evaluation skills to determine if those resources are biased or if they meet their information needs. INFOhio's Go! Ask, Act, Achieve guides middle and high school students through the research process using INFOhio and other web-based research tools and information. The Act section of Go! includes several activities designed to help students think critically about their information sources. For a more in-depth exploration of the research process and evaluating sources, use INFOhio's Research 4 Success (R4S). R4S was designed for use with high school and first and second year college students. It breaks the research process down into six modules, each of which can be embedded within your learning management system. Use the tutorials, activities, and quizzes in Module 3 to help students distinguish between popular and scholarly sources, evaluate a source's credibility, and use information ethically. Both Go! and R4S have a free teacher's guide. Learn more about how ISearch is different from other search engines and how to start using it in the classroom, while earning a free certificate for three contact hours, by completing the Learn to Search Effectively module in INFOhio's Success in Six. Earn another free certificate for three more contact hours, while learning about the differences between reading print and digital resources, by completing the Engage Your Students with Reading Resources module in Success in Six. To learn more about fake news and how it spreads, log into the INFOhio website with your school or district's INFOhio username and password and try a search in ISearch for "fake news." Then talk to your students about how they can find reliable information online.